Sure, you can clean out the gutters like a champ. But what about roofing work that goes beyond removing leaves and other debris? The roof is, obviously, a key part of your house. There will be occasions when you should definitely call in some experts. All types of storms can damage a roof. Windstorms can do it, as can thunderstorms and hailstorms. Even a lot of precipitation can do it. Look at places with unusually high amounts of rain or snow one season. You’ll probably find a lot of warped roofs and carports around town. If the roofs weren’t designed to stand up to that much rain, they’ll have problems. You’ll have more issues with older roofs, but it can happen to all kinds of roofs if the weather gets extreme enough. And unfortunately, we’re seeing more and more cases of extreme weather, likely as a result of climate change. In cases of weather damage, you’ll need to act carefully. 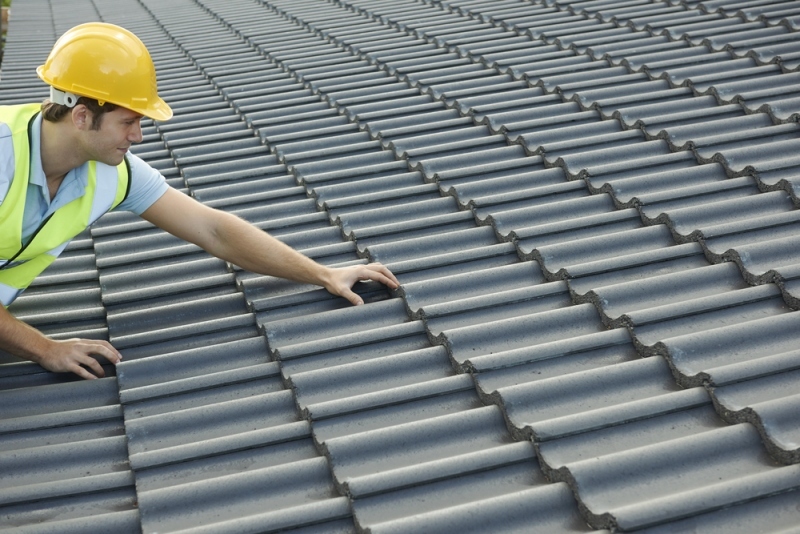 Call in contractors well-versed in roofing repairs. They’ll come out and take a look at things, then tell you what the next steps should be. Don’t wait too long after the storm, either, as roofing companies tend to get really busy after a major storm blows through. They’re also more busy at the end of very snow winters and very rainy springs and summers. How dark is your roof? You probably don’t spend a whole lot of time thinking about it, which is understandable. So imagine it’s a sizzling August day, and you’re trying to figure out what to wear. Are you going out in a black T-shirt and black jeans, or are you going to look for lighter colors in your closet? Darker colors absorb heat while lighter colors reflect them. So that black asphalt on your roof could actually be making your air conditioner work harder in the summer. Luckily, there are ways to install a more energy-efficient roof. Installing what’s known as a “cool roof” can lower your electric bills and make you more comfortable. In the past, energy-efficient roofs have been eligible for tax credits, but that credit appears to have expired at the end of 2017. If you run a business with a separate office building, you absolutely must call a commercial roofer before trying to do anything on your own. If you try to do something that you aren’t really equipped to do, you risk making the business uninhabitable, which can be a death knell for any business, regardless of if you have three employees or three hundred. Don’t call your cousin Phil just because he promises he can do it for cheap. It’s common for businesses to put off any roof repairs for fear that it will cost money they don’t have. Most of us have worked in old office buildings where buckets are put out every time it rains. You can only get away with that for so long, though. Don’t come to work one day to find out part of the roof has collapsed. Call in some roofing experts and start making a plan.